Shopping center Iso Omena owned by Citycon plans to construct a large solar power system. 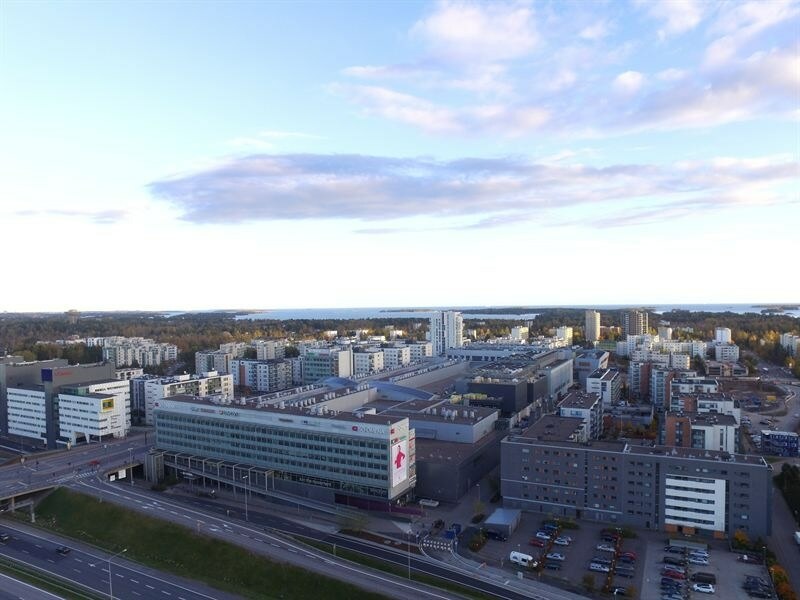 Upon completion, it will be the largest solar power plant ever in a Finnish retail property. The solar power system with nearly 2,000 solar panels will be installed on the roofs of the shopping center. The system will be capable of generating about 460,000kWh of solar electricity every year. This remarkable capacity corresponds to the yearly electricity consumption of nearly 230 blocks of flats. The new solar electricity contract model will be implemented for this project. Solarigo Oy, a partner of Citycon, is investing in the solar electricity plant and will take responsibility for the system’s planning, installation and operation during the entire contract phase. Citycon will buy the solar electricity generated by the plant owned by Solarigo. The solar electricity will be used to meet the energy demands of Iso Omena. The power plant will provide renewable and emission-free solar electricity for a maximum of 35 years. Solar electricity is an excellent fit for Iso Omena’s electricity acquisition as its production is at its greatest on sunny summer days when the need for cooling energy is most needed in the premises. The Iso Omena extension has been granted the highest possible platinum-level LEED environmental certification. This solar electricity contract is yet another indication that we are attempting to reduce our environmental load by increasing the share of green electricity in the energy we purchase. We are delighted that we can help our customer exploit solar power through Solarigo’s solar electricity contract and, at the same time, increase the production of solar electricity in Finland.